Trillion is responsive multipurpose HTML5 template 2015 with endless possibilities suitable for company, business, event, agency or individuals. Trillion is Retina ready, Parallax ready, includes awesome Layer Slider 5, Font Awesome, and much more. It is a great way to present your business at the highest level. It is based on popular Twitter Bootstrap 3.1.1 framework. Trillion is highly universal and customer oriented template that uses the latest HTML5 and CSS3 technologies. You save extra $11 for premium content included in Trillion template. 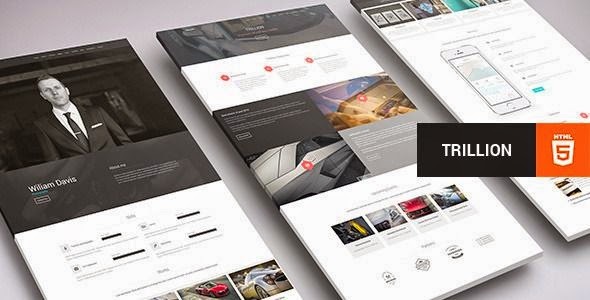 Item Reviewed: TRILLION Premium Multipurpose HTML5 Template 2015 9 out of 10 based on 10 ratings. 9 user reviews.